Very English weather in our garden yesterday. Sunshine, rain and hail. I took these at the weekend. 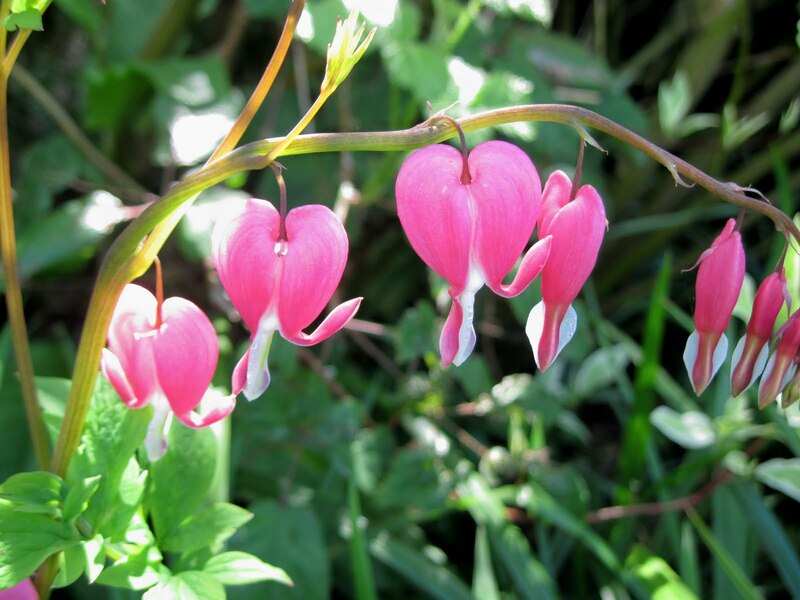 And my bleeding heart is blooming now, too! Strange weather about -- we had some snow around here yesterday. I posted something about it on Facebook and a lot of my friends in the Pacific Northwest mentioned they had had hail, or even snow in Spokane. Weird.